The market's been rallying this year, but it's not just companies that are faring well that find their stocks hitting fresh 52-week highs. 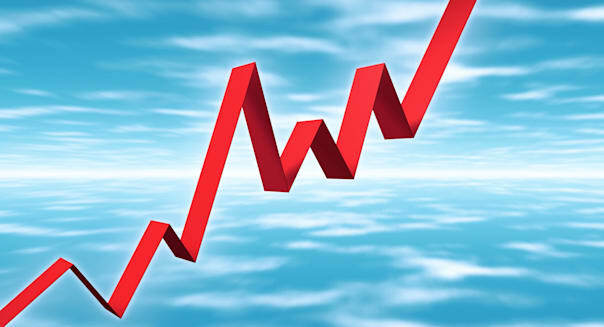 Let's take a look at some of shares that hit recent highs this last week that may not necessarily deserve their gains. The PC has fallen out of favor, and that's something that sent HP rival Dell scrambling to go private. Consumers are turning to tablets and smartphones for their basic computing needs, and unfortunately HP isn't as strong in mobile computing devices as it has historically been in desktops, laptops, and printers. Speaking of printers, are people still printing out documents and snapshots the way that they used to? There doesn't seem to be as much of a need for HP's printers and higher margin ink cartridges when cloud-based storage is reliable and accessible, and sites like Shutterfly make it easy and fast to have them printed professionally. HP's growth has seen better days. Analysts see revenue sliding 3 percent this new fiscal year that ends in October, and dipping again in fiscal 2015 by another 1 percent. The country's second-largest satellite television provider is in the same funk that cable providers find themselves in these days: Viewers are tiring of escalating monthly fees, so they are cutting their cords and canceling their subscriptions. DISH Network has held up relatively well given its market position as the cheaper satellite television alternative, but even that isn't enough these days. DISH Network had 14.049 million pay TV customers at the end of September, just below the 14.056 million accounts it watched over when the year began. Usage peaked at 14.133 million subscribers at the end of 2010. %VIRTUAL-article-sponsoredlinks%DISH can't avoid passing on its growing programming costs to consumers, which is why average revenue per user has gone from $76.99 to $81.05 over the past year. How many people do you think will be cutting the cord now? The satellite television giant has been a financial disappointment despite hitting a fresh 52-week high last week. It has missed Wall Street's profit target in three of the past four quarters. It may be time to change the channel. Several years ago, Logitech was on top of the world. It was outfitting PC owners with the keyboards, mice, and webcams that made computing easier. Now, we live in a touchscreen world where tablets and smartphones don't need added accessories. The results haven't been pretty for Logitech. Net sales slipped 9 percent in fiscal 2013 that ended in March, and it wound up posting a huge loss for the year. Logitech is profitable again, but analysts see net sales sliding again in fiscal 2014. Apple rewarded patient investors by hitting a fresh 52-week high last Thursday, but it's not as if everything's rosy at the company behind iPads, iPhones, and iPods. Earnings have clocked in lower in each of the past four quarters. Apple's still selling a ton of iPhones, but its once market-defining iPad has lost ground worldwide to cheaper Android-based tablets. Things are naturally worse with its Macs and iPods as consumer trends have moved away from PCs and dedicated portable media players. Analysts see earnings improving slightly during this holiday quarter. They've been warming up to Apple lately as the global economy improves and Apple expands its global reach. However, Apple still has a long way to go to prove that it's worthy of new highs. The world's leading retailer should be on top of the world. It gives shoppers get more bang for their bucks with its modest markups and economies of scale. However, the marketplace hasn't been as kind. Walmart has been posting flat or negative same-store sales for many of the past few quarters, and the discounter actually posted lower earnings than analysts were forecasting in two of the past three quarters. Walmart has already warned that it will likely have to discount aggressively to win frugal holiday shoppers. There's also the groundswell of protests calling for Walmart to lead the way by boosting its salaries above minimum wage -- a move that would either trim the chain's already modest margins or force Walmart into boosting prices, at the risk of losing shoppers. Walmart isn't exactly the people's choice these days, so why is it's stock hitting new highs? Tough to say: We'll have to wait and see how it comes out of this quarter before we can know if that price trend makes sense. Motley Fool contributor Rick Munarriz has no position in any stocks mentioned. The Motley Fool recommends Apple and Logitech International SA (USA). The Motley Fool owns shares of Apple. Try any of our newsletter services free for 30 days.